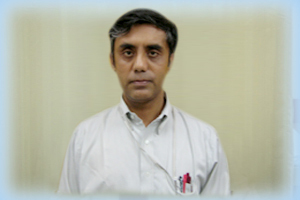 Dr. R. Basu. F.R.C.S. (Edinburgh), MRCH, M Ch, M.B.B.S. A premier Surgeon with more than 12 years experience, Dr. Basu has performed on average 4 Hip replacement and Knee Replacement Surgeries per week in the United Kingdom as a Consultant Surgeon to the National Health Service (N.H.S.) from 1999 to 2004. Depending on suitability determined by him, Hip Resurfacing was also performed. In India, Dr. Basu has performed about 5 Hip/Knee Replacement Surgeries per week from 2004 onwards. Practice in the United Kingdom. 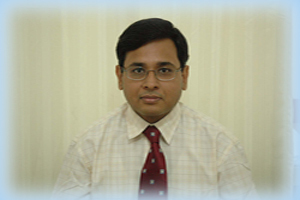 Dr. Basu trained in the UK under renowned Orthopedic Surgeons. Dr. Basu's follow up rate is very good with no major complications. 14 Years experience in Orthopedics, Orthopedic Surgery. UK Experience from 1996 to 2001: Feb 97 to Dec 01: Birmingham Heartlands & Solihull Hospital, Birmingham. Feb 96 to Jan 97: George Eliot Hospital, Nuneaton, Warwicks. The number of Hip Replacement and Knee Replacement operations done in the UK is about 200 per year, total about 1200 operations done in the U.K. in six years. In India, Hip and Knee Replacement surgeries done is about 4 per week from 2001. Birmingham Heartlands and Solihull Hospital.